This is our fully loaded version with both single acting and double acting hyd. outlets for all implement variations and also front loader ready. 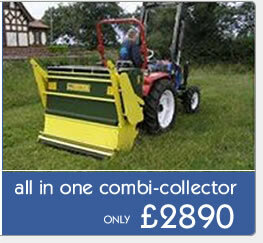 Top Tractor fitted with many extras including full double weight sets. Next generation engines and finger responsive Power steering. This latest LOVOL selectable 2 or 4wd Tractor is the all rounder size the fits your small holding Farm or Estate . Get extra traction and low ground damage by adding EXTRA WIDE tyres OR turn it into a full on digger / Lifter with a Front End Loader.. 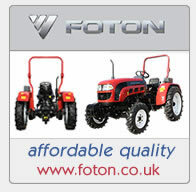 This economy version Foton Lovol has row cropping adjustable Front Axle width and is available to special order only. Our 4000 series has more power, while ( up to 37 HP) Engines with 4 cylinders instead of 3. The 4000 series has a BRILLIANT FULLY SYNCHRO gearbox . The FLAT FLOOR cabin option is also available. is your Land WET or SOFT and could suffer from ruts ?.....then these Extra wide TRELBORG or equivalent tyres are a brilliant uograde .Better than using Turf tyres ( which are not as strong ) , but having a similar effect, but with full grip.